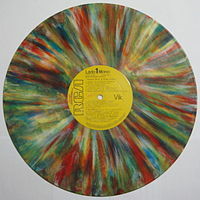 LPs pressed in multicolored vinyl (Sotano Beat: A Todo Color, a various-artists compilation) and clear yellow vinyl – (Rock On Elvis by Tulsa McLean) both from Argentina. 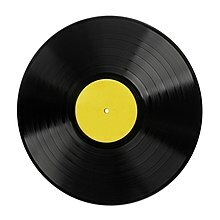 In the later 1970s, engineers Gerry Block and Burgess Macneal devised a preview system of mastering vinyl which allowed about 10–20% more music per disc while not sacrificing dynamic range. The preview tape head was positioned far enough before the program tape head to allow the disk computer enough time to measure the peaks in low frequency and thereby expand the feed appropriately for the greater excursions of groove modulation they produce. 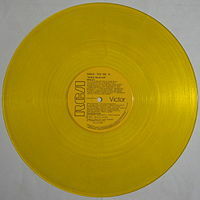 The Compudisk system was unveiled at the 1980 AES Convention, alongside the Zuma Disk Computer (made by John W. Bittner) and the Neumann VMS-80 lathe, which had its own advanced disk computer.